By Oscar Robertson’s senior year, it was obvious the 6' 5" point guard had the type of talent that came along once in a generation. 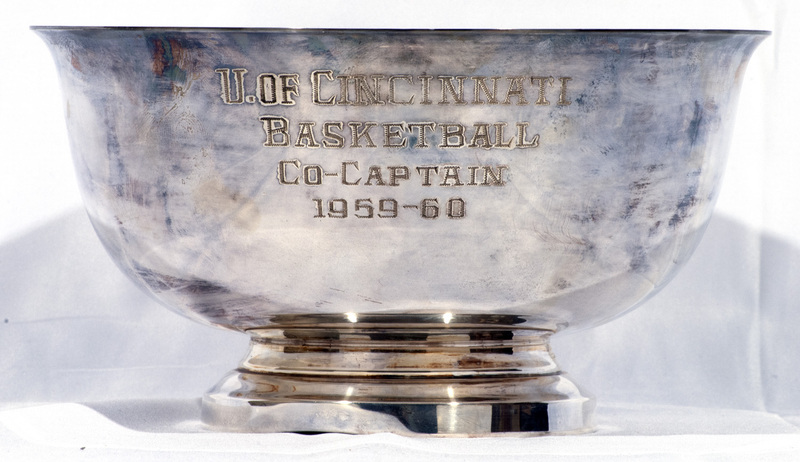 In three varsity seasons with UC, “The Big O” single-handedly rewrote the Bearcats’ record book, led his team to a pair of Final Four appearances and put University of Cincinnati basketball on the map. The crowning achievement of Robertson’s collegiate career was being named Consensus First Team All-America as well as College Basketball Player of the Year for the third straight season. 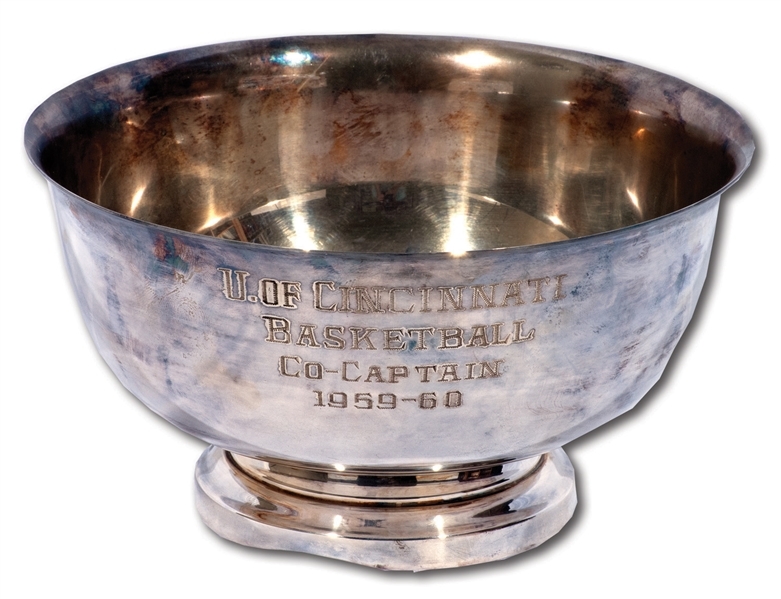 Offered here is Oscar's lovely silver presentation bowl honoring him as "U. OF CINCINNATI BASKETBALL CO-CAPTAIN 1959-60," which is neatly engraved on the bowl. 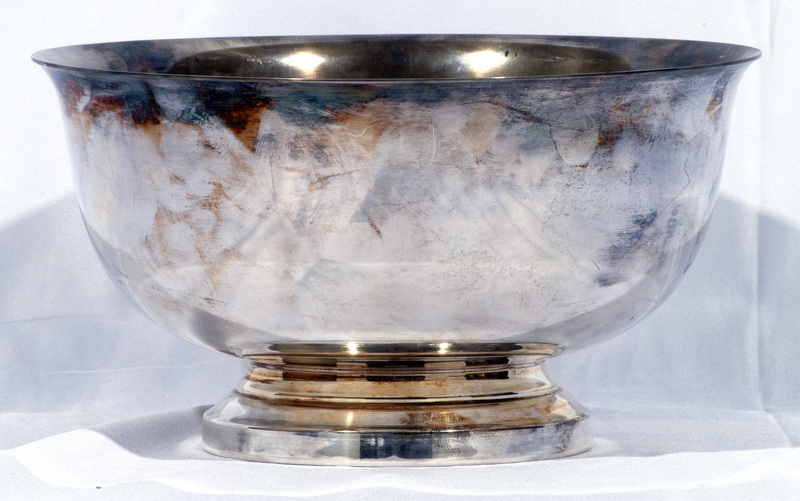 Measuring 8" in diameter and weighing 19 ounces, the bowl is made by L.G. Balfour Co. of electoplated Britannia metal, as indicated by the "E.P.B" hallmark on the bottom, and washed in silver plating for a shiny finish. It has a dent on the bottom but shows moderate handline and wear overall. Includes LOA from Oscar Robertson.